How to make good - even better !!! 8 x 50m freestyle technique, work on high elbows and sticking the hand in rest 30"
4 x 100m (50m back kick/50m breast) breast fast rest 35"
8 x 100m (50m Fly/25m back/25m breast) focus on transissions/turns not speed rest 30"
200 free 3-5-7-9, 8 x 25 kick Easy Fast under water every other (45”), 200 stroke drills (30”), 8 x 12,5m . 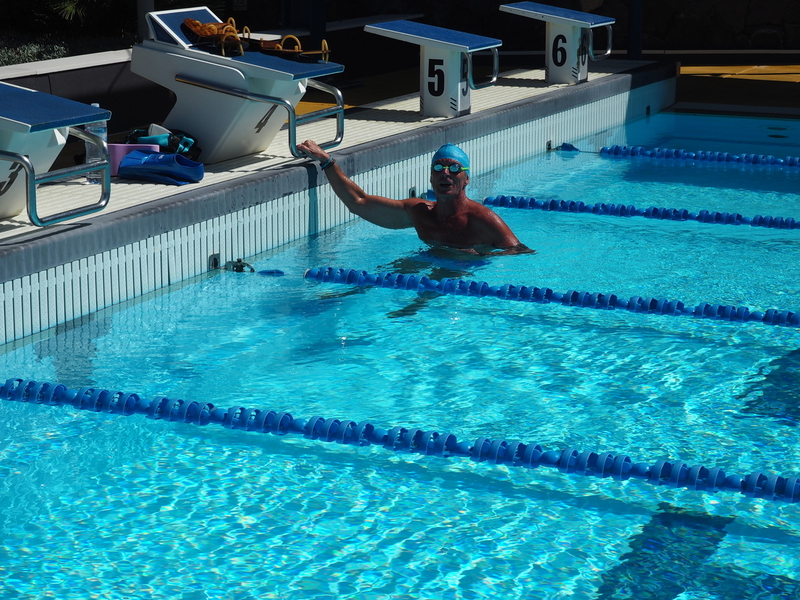 all out sprints (40”) 200 freestyle pull easy long strokes 8 x 100 Back (2.00”) First: 25m fast 75 easy. Second: 25m easy 25m fast 50m easy. Third: 50m easy 25m fast 25m easy. Fourth: 75m easy 25m fast. Repeat! 200 freestyle/backstroke pull easy 12 x 50 (1.10”) Middle 25m Fast! (in the 50m!) 4 x 50 kick faster and faster within the 50m. rest (1.10”) 200 easy Breast/freestyle pull 8 x 15m speed, no breath with dives if possible + 10 m easy (45”) Swimdown. 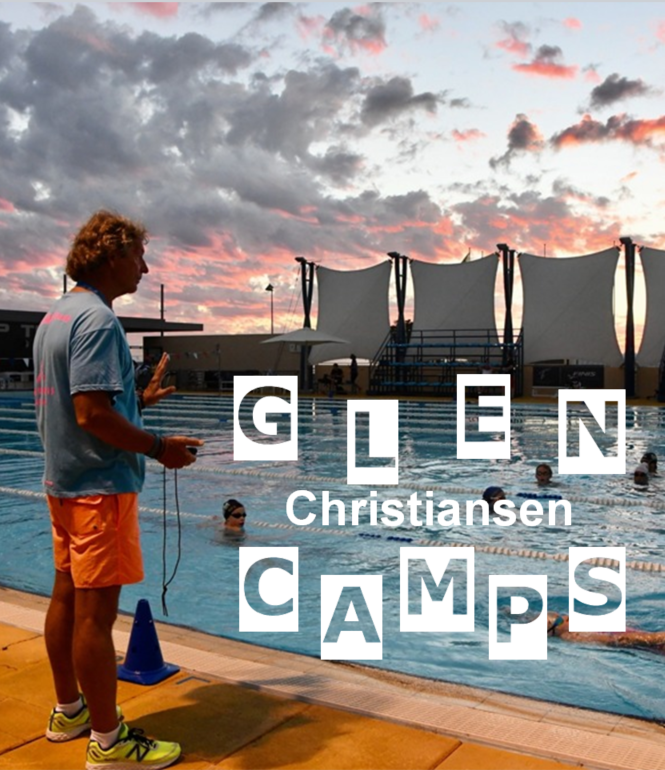 12 x 25m Butterfly with fins rest 30"
8 x 25m sculling rest 30"
4 x 300m freestyle try to swim middle 100m faster than first and last. Rest 45"
3 x 400m freestyle pull 1-3 rest 45"
4 x 25m freestyle sprint, first 12,5m head up rest 30"-45"
6 x 150m pull (50m freestyle easy breathing every 7th stroke/50m backstroke/50m freestyle fast) rest 40"
10 x 100m (25m catch up freestyle/25m swim with fists/25m touch arm pit/25m normal) rest 25"
8 x 50 (25m butterfly kick under water + 25m sculling) start 1.15"
8 x 50m. one main stroke 90%, one freestyle 75% start 1.10"
4 x 25 m swim Fast as possible, No Breath or/and under water 45"
This workout really gives me satisfaction. It is good solid anaerobic work and I am really exhausted afterwards. Had I done this workout in a long course (50m) pool would I probably now promise you a worldrecord this summer but no, sorry, it was swum in a 25m pool. Ok, outdoors without lane-ropes but if I keep this up it could be good anyway. 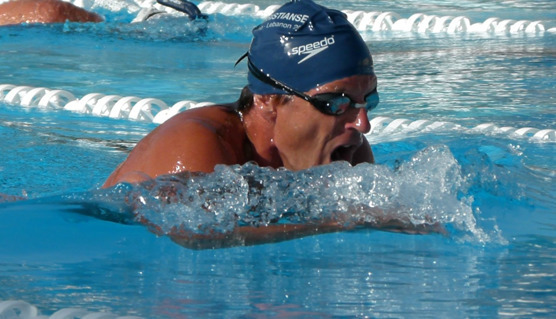 Important is to keep the short rest in the breaststroke sets. And too keep a clean stroke. I try to swim as fast as I can but keeping the technique close to 100%. A good challenge. A fun workout. But not one I would do every day. Our coach Niko Martikainen, an expert on weight training is explaining the tecnique of doing weights to Tenerife Camp swimmers. 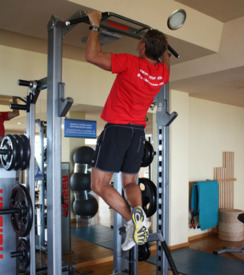 The muscle mass in the body start to decline at the age of 30, if we do not train. The swimmer loses speed and power. It is important to keep in mind when training is executed. It is very individual how often and how much a person can/should train in order to reach maximum success. But as you grow older (and the muscle mass decreases) the importance of weight training increases (together with the importance of flexibilty) and weight training is a key factor to stay fast. •Does your event require long slow movements or fast, powerful movement? •Does you revent require muscle strength or endurance? •Does your sport require complex skills, or just general movements?